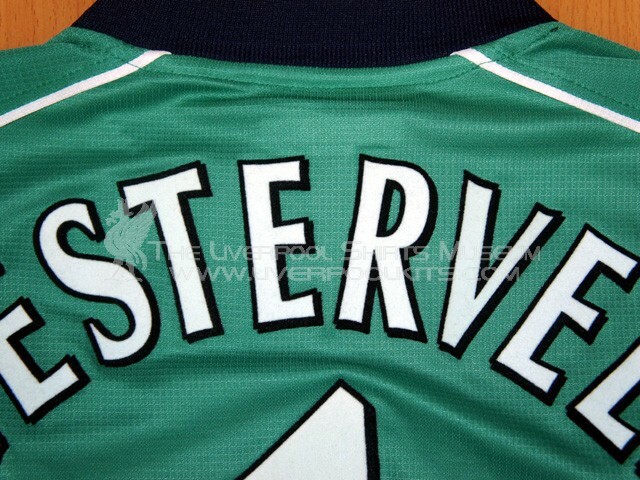 This is the 2000-2001 "Treble Cup Winners" season away goalkeeper shirt. As usual, domestic competitions' player shirts have a bigger Carlsberg, and European competitions' player shirts have small Carlsberg. 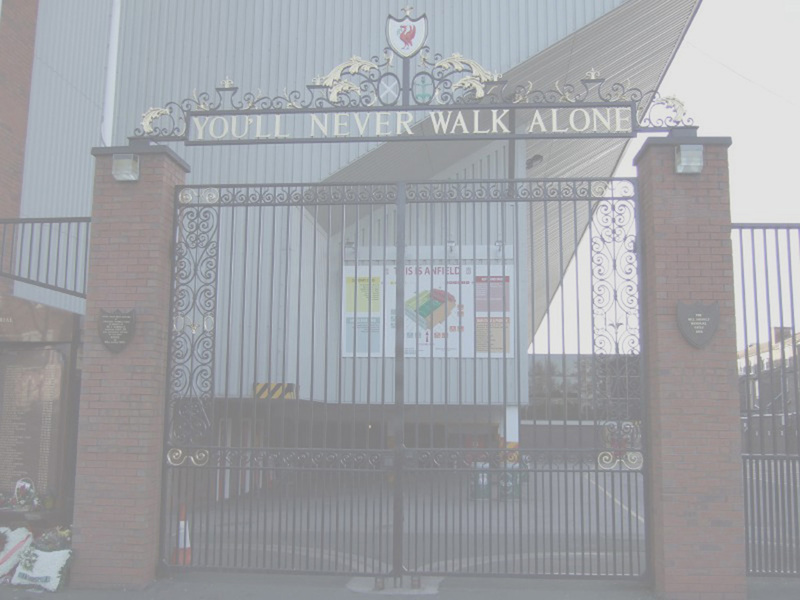 Yet, an European competition goalkeeper player shirt NOT the same as a standard replica. 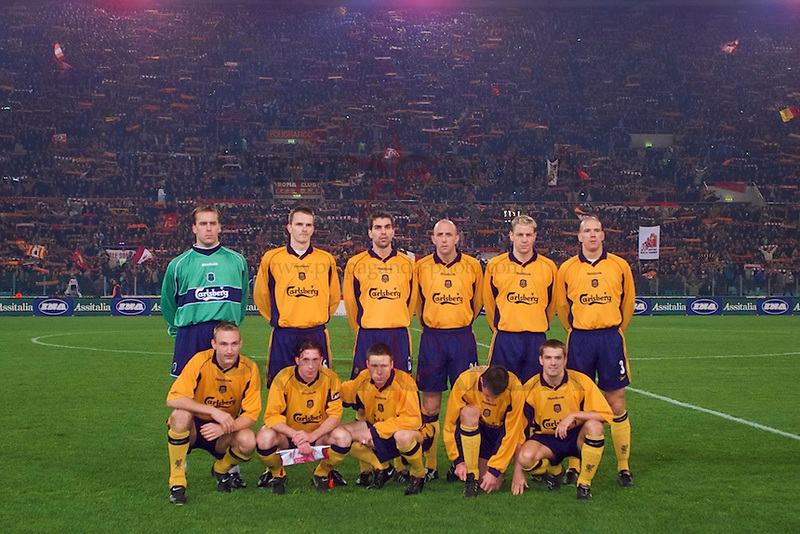 Featured Liverpool's full squad before the kickoff in the UEFA Cup 4th Round first leg match between AS Roma and Liverpool on 15 February 2001. Sander Westerveld was wearing the away goalkeeper in European competition specification. 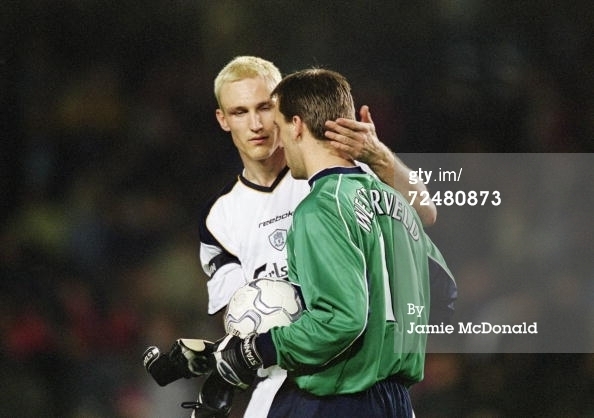 Featured Sami Hyypia and Sander Westerveld in the UEFA Cup semi-final first round between Barcelona and Liverpool on 5 April 2001. 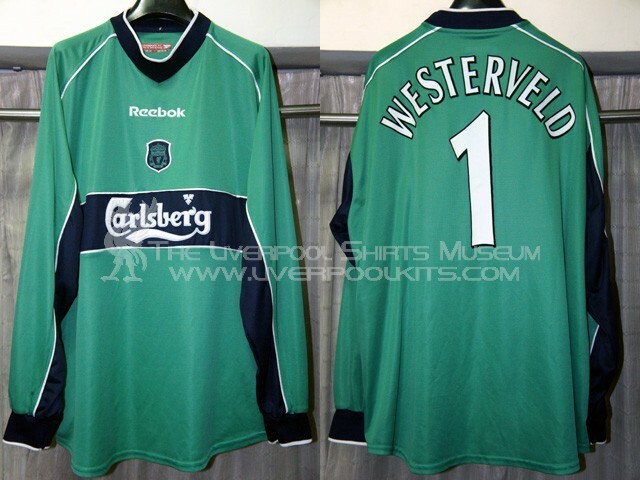 Sander Westerveld was wearing the away goalkeeper in European competition specification. 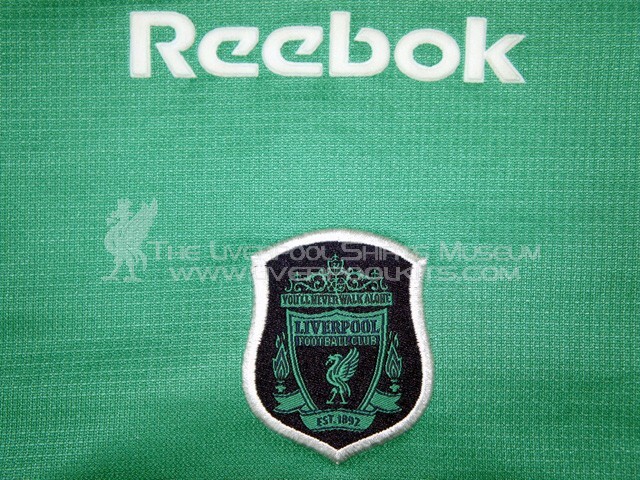 Goalkeeper player shirt of this style has embossed Reebok motif. Replicas shirts have embroidered Reebok motif instead. Many collectors may think European competitions' shirts are identical to replicas in respect of same "small Carlsberg". 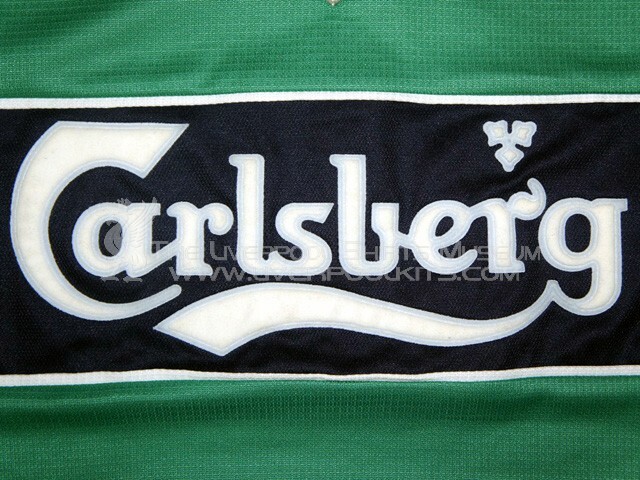 Actually, player shirts differ from replicas in having thick-rim Carlsberg embossed sponsor. A further feature of this goalkeeper player shirt is the absence of hydromove label at the neck collar position on the reverse of the shirt.